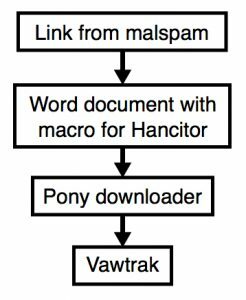 A recent lull in the distribution of spam linking to the malicious downloader Hancitor has been snapped as researchers warn of new campaigns. A recent lull in the distribution of spam spreading information-stealing malware via the Hancitor downloader has been snapped. Researchers at the SANS Internet Storm Center are currently tracking an increase in spam purporting to be a forwarded parking ticket notification. The message prompts the recipient to click a link to pay a parking ticket; the hyperlink is to a Microsoft Word document. 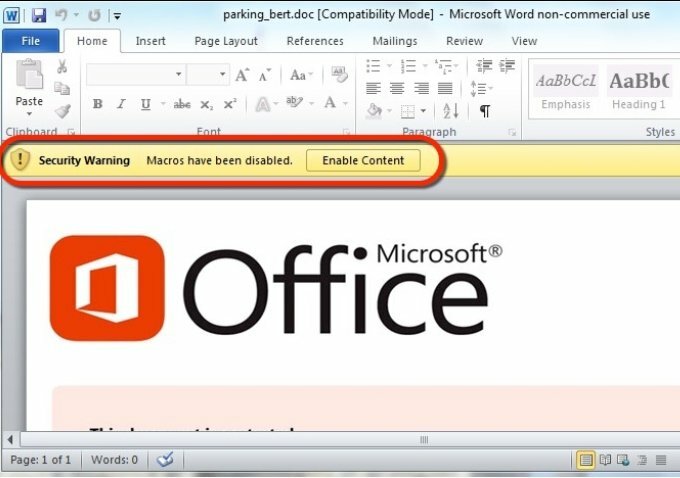 There doesn’t appear to be anything unique when it comes to the Word Document and its standard ploy of pushing recipients to “enable content” and run a malicious macro. An analysis of the link from the phishing e-mail contains a base64-encoded string representing the recipient’s address. Using that string, attackers insert the recipient’s name into the filename of the World document. “I used a base64 string for bert@shotts123.com (a made-up name/address) and received a file named parking_bert.doc,” Duncan said. Other aspects of the spam campaign are similar to previous waves of Hancitor-related spam reported in 2016 by Palo Alto Networks and FireEye. 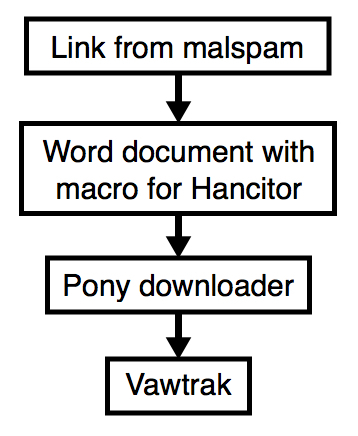 “Pattern-wise, URLs from this infection are similar to previous cases of Hancitor/Pony/Vawtrak malspam reported during the past two or three months,” Duncan wrote. 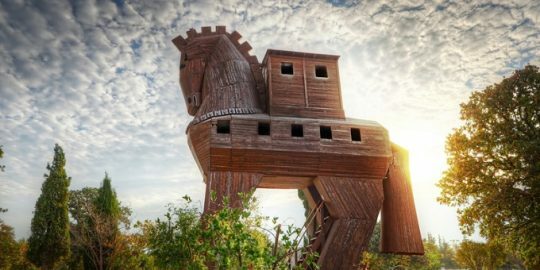 In August, a variant of the Hancitor downloader was identified by Palo Alto Networks that shifted away from leveraging the latest incarnation of H1N1 and distributed the Pony and Vawtrak executables. In September, FireEye reported the way that Hancitor’s payload was delivered differed from previous iterations. Researchers said the downloader had shifted to depend on native Windows API callback functions to execute shellcode. While malicious Hancitor campaigns fluctuate in volume, researchers say overall spam-based macro attacks are on the rise. 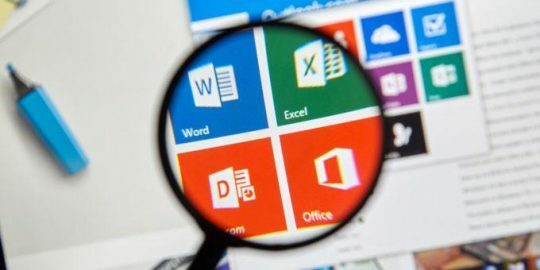 In a study released in October, Microsoft said incidents of macro-based malware hiding in Office documents has steadily been on the rise. In the enterprise, Microsoft reports, 98 percent of Office-targeted threats still use old-school macro-based attacks. Duncan reminds that there are a number of technical means to prevent these types of infections such as new protections from Microsoft for its Office suite introduced in October. 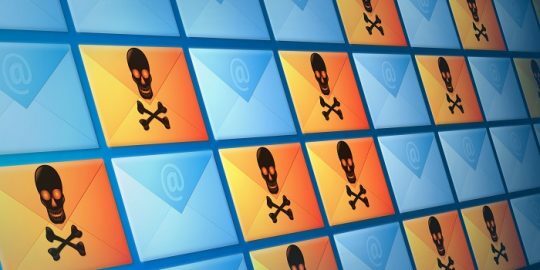 A new email campaign includes a Microsoft Office Publisher file with malicious URLs leading to the FlawedAmmyy RAT. Microsoft published guidance for Windows admins on how to safely disable Dynamic Data Exchange (DDE) fields in Office that are being used to spread malware in email-based attacks.